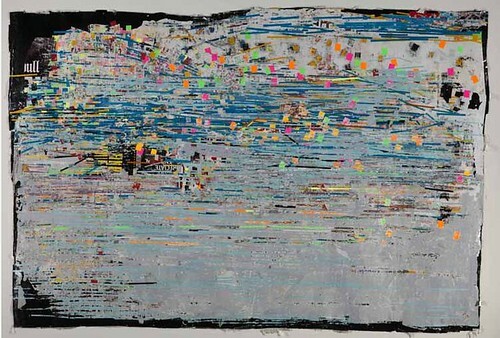 NYC: Détournement: Signs of the Time, a group show at Jonathan LeVine Gallery. Opens today, in Chelsea. NYC: 31 Women in Art Photography, presented by the Humble Arts Foundation, at Hasted Kraeutler. Through August 17. Santa Barbara: Mario Ybarra Jr., The Tío Collection, at the Santa Barbara Contemporary Arts Forum. Through September 30. Berlin: The Echo: Although I Am Still Alive, a group show of young Japanese artists, at the Kunstraum Kreuzberg / Bethanien. Opens today, at 7pm. This looks badass: Babycastles is having a summit at the Museum of Arts & Design at the end of this month. Get your tickets here. Random Link: This David Wojnarowicz bio by Cynthia Carr sounds like a must-read. Plus: there’s plenty more happening on the Deitch/MOCA front. Get the lowdown here. YouTubing: An interesting chicha poster doc.